by catherinekaysecretson 17/03/2014 17/03/2014 Leave a Comment on Spring time! Yes,yes yes! Spring is finally here! Soo happy that winter is over! 23degrees today and getting warmer. I have a very positive attitude today and many ideas for spring looks. What I can deffinately recommend to all my girls out there is start adding colors and patterns to your wardrobe! Yes I know, it’s not summer yet, but there’s no harm on bringing it a bit sooner ! 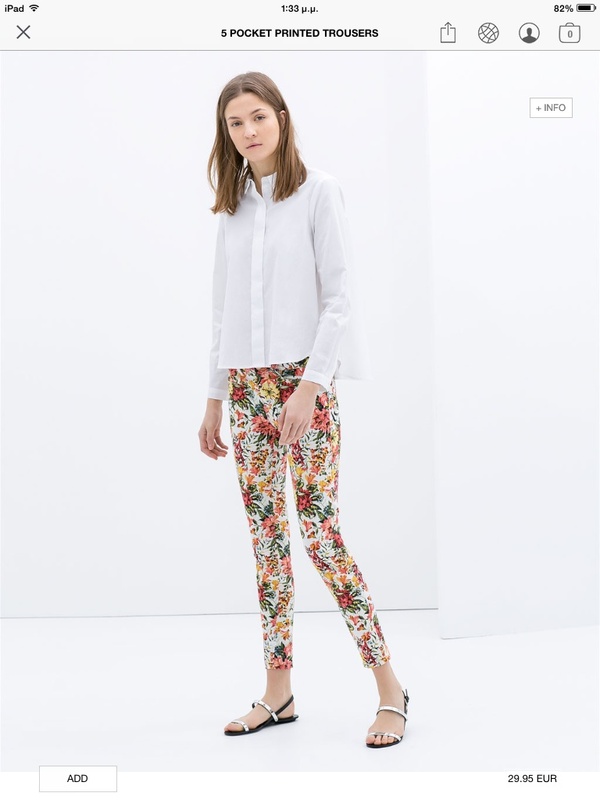 My ideas for this week’s shopping is a patterned pair of pants – something really girly, like flowery or light pink- and loose shirts. White is by far my favourite color and I can’t stop wearing it even during winter. So of course it’s my top choice for spring too! But against all adds ( for those who know me) I fell in love with yellow! I already bought a yellow nail polish and getting ready for more yellow items on my wardrobe! How about you? Any spring shopping already? Next ArticleLook me up on social media!